The aerodynamics of closed helmets combined with the cooling benefits of race open models, for every weather. 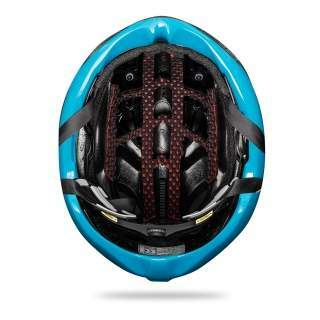 Infinity is our first helmet to feature fully adjustable vents: open up to manage ventilation while climbing and close down when you start sprinting and in bad weather conditions. As developed with the Grand Tour winning Team Sky, our brief was to come up with a helmet that combined the same aero advantages as our fully closed helmets together with the cooling effects of a fully vented road race model. 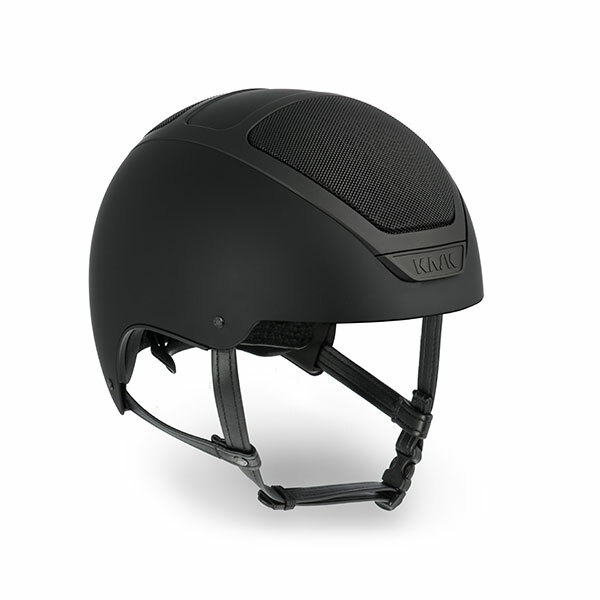 Produced using our innovative In-Moulding system, the Infinity is truly special in that it offers the same mechanical strength and shock-resistance as our other helmets, but with a mobile aerator for easy in-the-saddle use. Simply open up for temperature management on climbs and close to meet the aerodynamic demands of sprinting. Even when the vents are fully closed a high level of ventilation is guaranteed by two front openings that feed two airflow channels over the rider’s head and out through two rear exhaust ports. 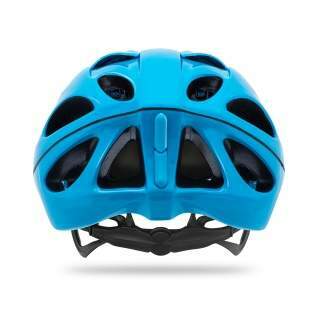 In addition to these adjustable vents, there are other optimal design features to smooth a path through the air: featuring a fully rounded profile, as well as further innovation in the use of a side rib that breaks the airflow, reducing the low pressure air bubble created to the rear of the helmet. The result? Ultra-low air turbulence and minimal drag. Incredibly aerodynamic and top performing shell, tested in the wind-tunnel and able to provide a really impressive CX rate. Any position the head will assume the outflow of the air will be perfectly in line with the helmet. Chin pad with eco-leather chinstrap The anallergic and washable chinstrap is extremely comfortable and helps to avoid irritation of the skin. The tridimensional 3D DRY padding utilizes a multi-layer open cell construction process: high technology for the best comfort and performance. The innovative inner strengthening frame offers a greater mechanical strength and a better compactness. 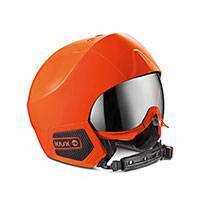 In case of shock it prevents the helmet from breaking into many pieces, allowing greater safety for every rider. The innovative “in moulding” technology, joining the inner polystyrene cap to the outer polycarbonate one, ensures a better shock absorption. Rubberised Micro Dial adjuster provides improved finger grip. Floating cradle contact points combine internal gel pads for optimum comfort. These supports are designed to oscillate freely through 180° allowing a perfect fit on any shaped head. The Skeletal Brackets of the cradle have been designed and refined to provide the best fit and support whilst being as light as possible. Inner padding fabric treated with antibacterial and antimicrobial Sanitized® process. 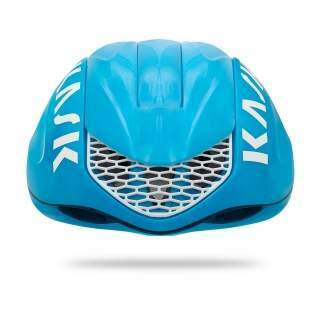 The MIT Technology, applied to all KASK cycling helmets, guarantees a higher safety and a complete protection thanks to the polycarbonate layer that covers the shell on the top, on the base ring and on the back. 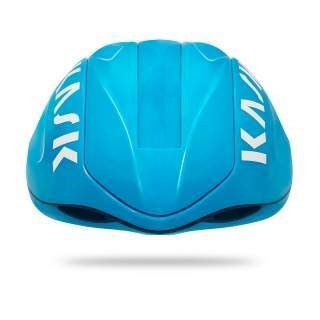 Women’s cycling would be unable to fully function without the support of companies like KASK, their range is top class and the ladies can fully focus on the job in hand with a comfy, cutting edge helmet. Select 2 or 3 helmets and compare them. Charlotte, NC 28208 - U.S.A.